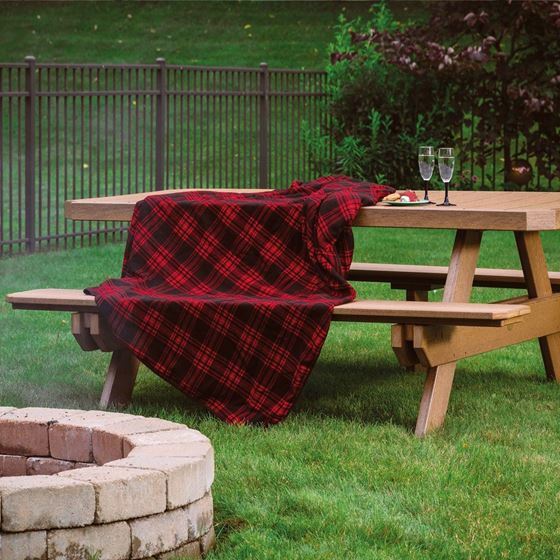 From Fourth of July picnics to neighborhood gatherings, this classically designed picnic table provides a great place to share meals with family and friends. Plus, it’s virtually maintenance-free, so spills are easy to clean up and the table can be left outside all year long! Standard with Umbrella Hole and Umbrella Stabilizer Block to prevent your umbrella from twisting and turning on days with a nice summer breeze.